Major event of the summer! 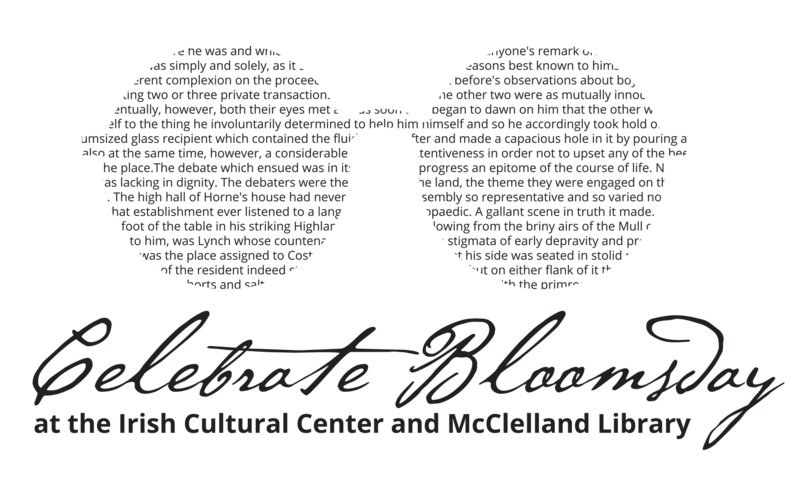 On Saturday evening, June 15, the Irish Cultural Center and McClelland Library pull out all the stops to commemorate Ulysses, the famous novel of Irish author, James Joyce, during its 13th Annual Bloomin’ Beerfest. Join us for craft beer tastings, live music, a costume contest, and some scandalous readings from the banned book that shook Ireland and the United States!! Early Bird Tickets will be available for $30 on the registration form on this page. Tickets go up at the door to $40, Guests get a souvenir Bloomsday tasting cup and a card good for 16 beer tastings. Tickets will be available here until 11:59 PM on June 14th. Food and additional drinks can be purchased separately at the event. “Teetotaler” Non-Drinker Admission is only $12 online and at the gate for $15 and includes all Bloomsday activities plus free soda and bottled water. No alcohol can be purchased with this admission. While primarily an adult event, admission for children 12 and under is only $5.00 online and $10 at door. “Bloomin” is derived from the protagonist from Joyce’s novel Ulysses, Leopold Bloom, and “Bloomsday” is celebrated annually worldwide. Each year, the Irish Cultural Center and McClelland Library commemorate the day in 1904 when the novel takes place through its annual “Bloomsday” celebration. Note: Ulysses is a book with strong adult content and parents should be advised to review the text before bringing their children. Attendees are encouraged to use public transportation or taxicabs. The Roosevelt St. Light Rail Station is just steps from the gate. Please see Valley Metro for schedule. You can also view our parking guide for more information.